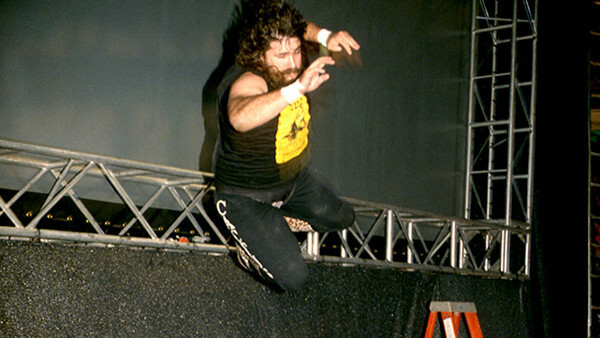 The moves the WWE megastars abandoned before they became legends. No top-level wrestler comes fully formed and fleshed out from the start; in fact, even the mega-stars, like John Cena, Kurt Angle, Randy Orton and The Rock still had their adolescent period to look back on, that part of their careers where they were still feeling out what would get them over and make their characters tick. These days, a star's finishing move is synonymous with that star. It hasn't always been this way.The status of a signature move as a standard part of the finishing sequence of almost every match first become a staple of US pro wrestling sometime in the 1980s, when Hogan's big boot/leg drop combination became his default method of winning 99% of his matches. Today, a great wrestler's credibility can be entirely dampened should their finish be seen as lame or ineffectual. Conversely, an average wrestler can be seen as better than they are if their finish is over with the crowd. Coming up with that killer move isn't easy, though. Even the biggest stars often began their career with a different finishing move to the one that they became famous with, before they hit upon the gimmick that made their name, or while they were still fine-tuning their act. These are ten of the greatest wrestlers in WWF/E history, and the finishing moves they had during their awkward pubescent stage.